My family had really loved the Chicken Parmesan Wonton Cups I made a back in January, so I was excited to try another version. 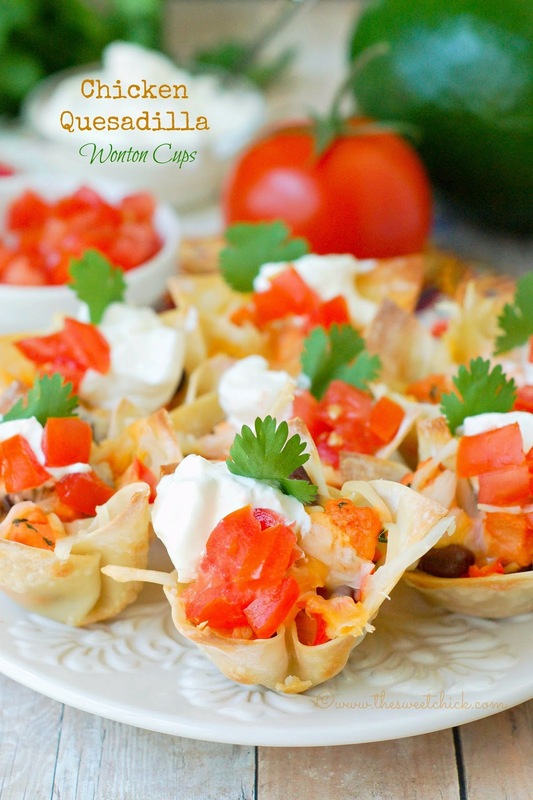 We eat a lot of chicken quesadillas, so why not try it in a wonton cup. I usually use dried cilantro in my quesadillas, but I wanted to try fresh cilantro this time. It smells so good and even the leaf by itself tastes good. The only other seasoning I added was Sazon Goya with coriander and annatto. It adds a lot of great flavor and turns the chicken a pretty orange color. You can find it with other Goya products in the grocery store or you can make your own version here. I also added some black beans to the mix. These came seasoned in the can, but you can get the plain ones too. Before filling the wonton wraps, you do need to pre-bake them for about 7 minutes. I just pop them in while I am mixing all the filling together. Then it's time to start layering. Sprinkle a little cheese on the bottom of each wonton cup, then add the chicken filling, and finally a little bit more cheese. These came out even better than anticipated. The fresh cilantro made such a big difference in the flavor. I couldn't stop eating them. I am convinced that everything tastes better in a wonton cup. My husband ate his plain, but I topped mine with a dollop of sour cream and chopped tomatoes. You can also top it with a little bit of salsa or guacamole. 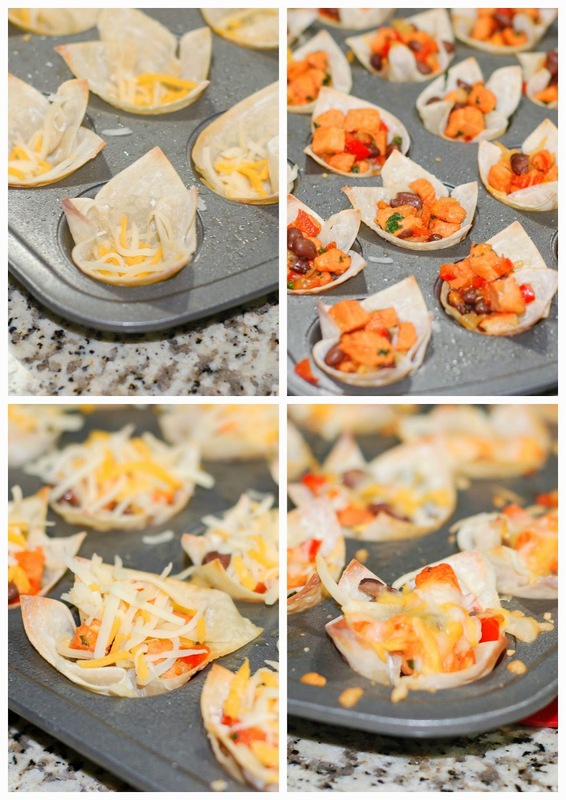 These Chicken Quesadilla Wonton Cups would make a great appetizer for a Cinco de Mayo party or any party. You can set up a little bar where guests can add their own toppings. I am making myself hungry just by looking at these pictures. I think I need to make some more of these very soon. In a medium skillet over medium/medium low heat, place 1 teaspoon oil and let warm up for 1-2 minutes. Add chopped onion and pepper and cook until soft. About 6-8 minutes (Add another teaspoon of oil if needed). Then remove from pan and set aside. 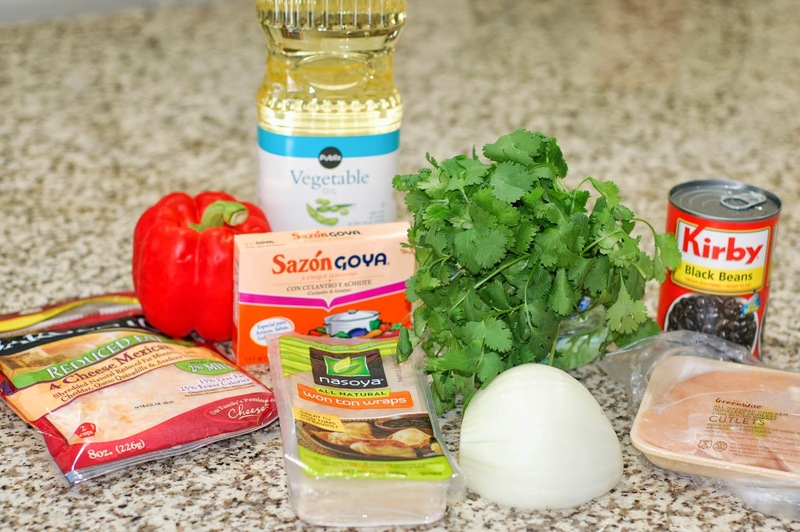 Add a teaspoon of oil, chopped chicken, and cilantro to the pan, sprinkle with the Sazon Goya and cook thoroughly. Approximately 6-8 minutes on the same heat setting. Remove from pan, drain, and place in a medium bowl. 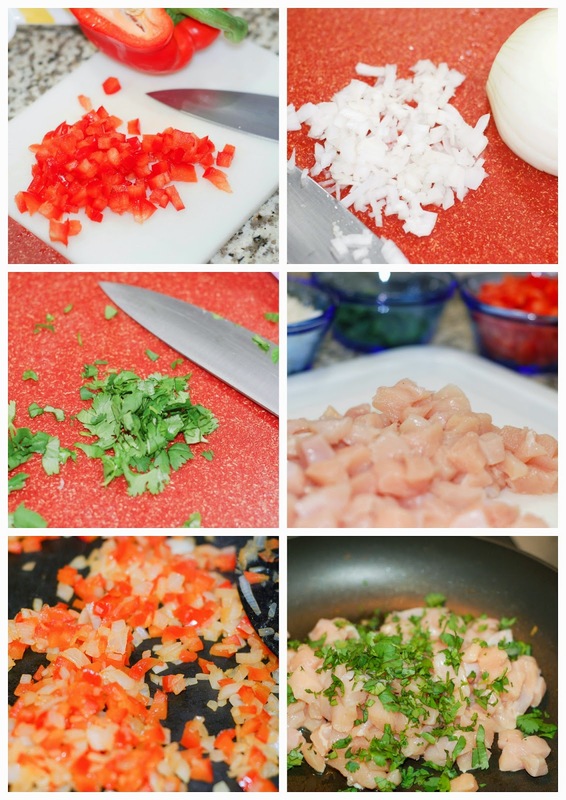 Add the onion, peppers, and beans to the chicken and mix until well blended. Line greased mini muffin tins with the wonton wraps, pressing down gently to mold the shape. Place wraps in the oven and bake for 7 minutes, then remove. Add a pinch of shredded cheese to the bottoms of each cup, then with a spoon, evenly distribute the chicken mixture on top of the cheese. Sprinkle the remaining cheese over the chicken mixture, evenly distributing over each wonton cup. Place the wonton cups in the oven and bake at 350°F for 10 minutes or until cheese melts. Remove from oven and allow to cool slightly before carefully removing from muffin tin. Serve warm. You can eat them plain or top them with chopped tomatoes, a dollop of sour cream, a bit of fresh chopped cilantro, guacamole, or salsa. Either way enjoy! Fun little bites! 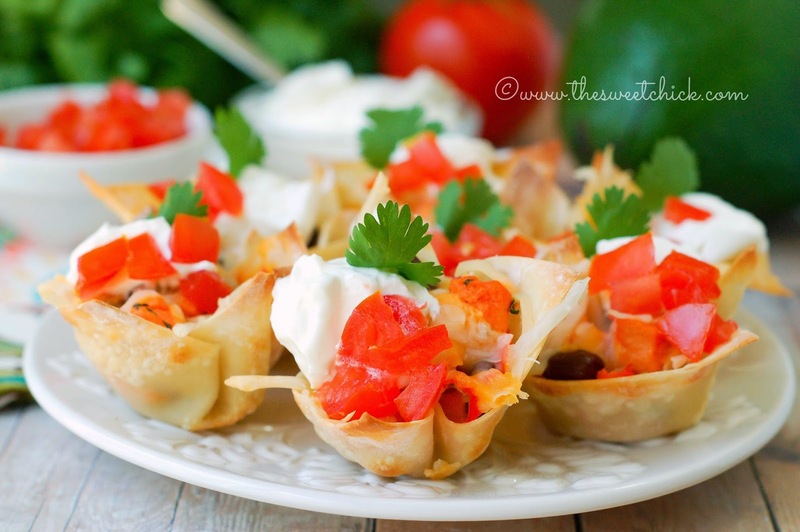 I make sausage, pepper and cheese wonton cups and love them. Will have to try these next time. Sausage, pepper, and cheese sounds good! YUM! 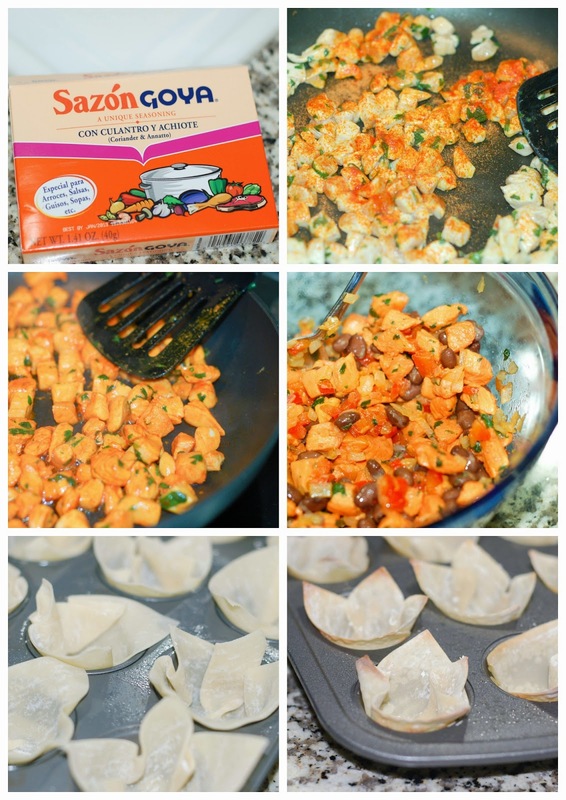 These little wontons sound AMAZING, and even though I don't like cilantro, I can see myself digging these, especially with Cinco de Mayo right around the corner. 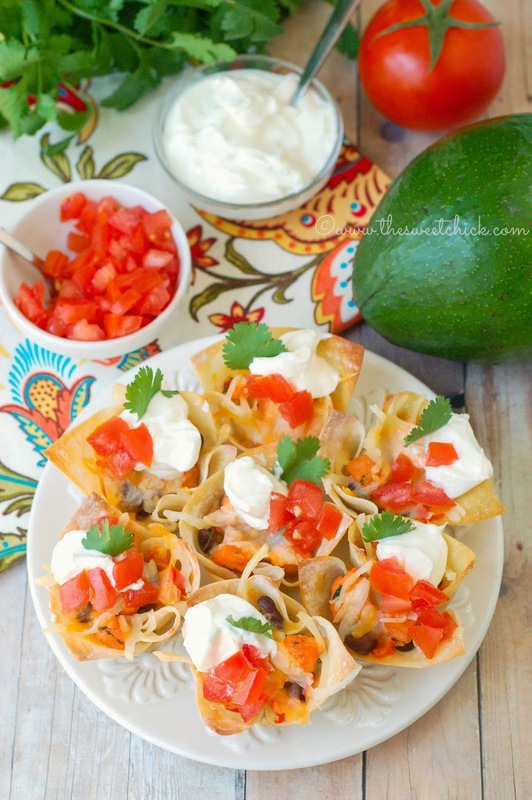 This was one of my favorite recipes shared during last week's That's Fresh Friday Link Up! I'll be featuring it at my blog on Thursday evening. 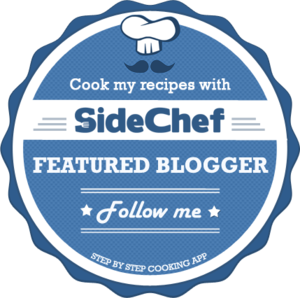 Thanks so much for sharing, and keep up the great cooking! Thank you so much Erin. Your photographs make me want to reach in my computer and grab one. Yum-o! I want to try these. Thanks Melissa. They really are so easy to make and taste great. They look delicious! So colorful, it is making me hungry! Thank you. I love your stackable trays. What a useful idea. I love the idea of baking the cups and letting your guest top them as they want. Great idea for a new twist on an standard recipe! Thank you for linking up at Party in Your PJS...we love having you party with us.